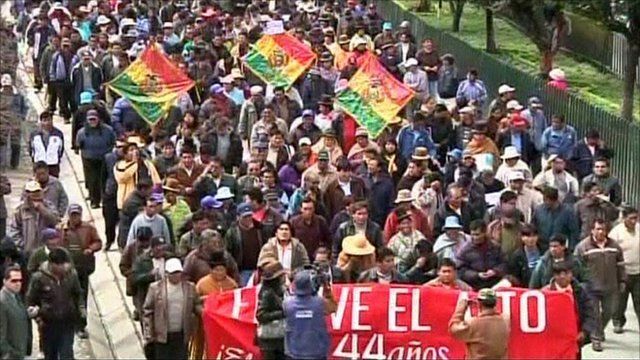 Hundreds of Bolivians have taken to the streets in protest against the weekend's rise in fuel prices. They are unhappy about the government's decision to end gasoline and diesel subsidies which have pushed the price of fuel up by more than 70%. The resulting higher prices have led trade unions to call for strikes.